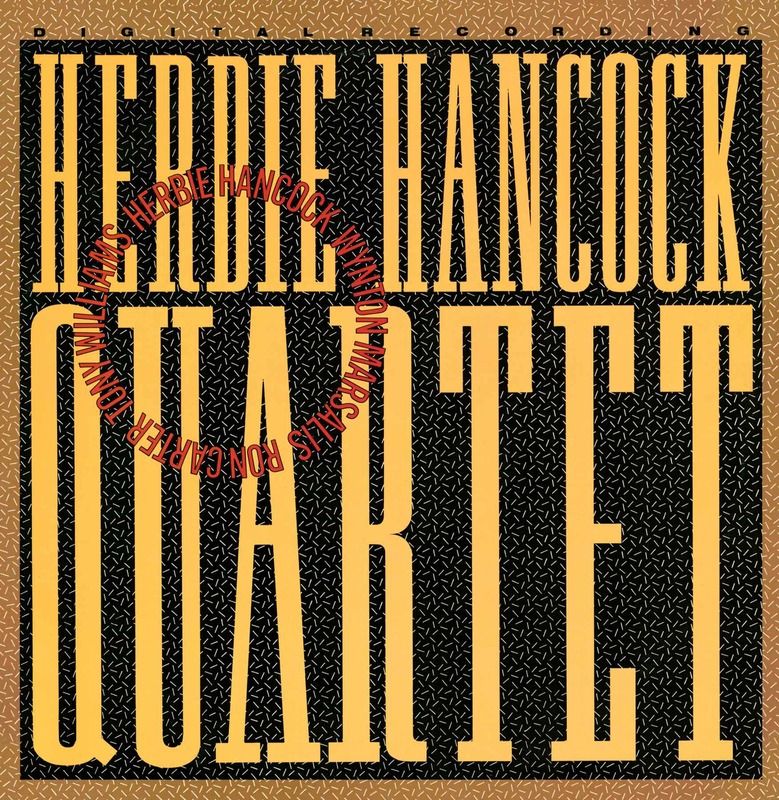 “A day after recording the Trio album of 1981, Hancock and his sidemen returned to the studio with Wynton Marsalis to record Quartet, whose material is made up of jazz standards, classic compositions from the second Miles Davis Quintet, and more recent originals by Carter and Williams. The band is playing with the same ebullience and fervor as the V.S.O.P. band from the late seventies, starting with a Thelonious Monk suite of “Well You Needn’t” and “Round Midnight,” the latter of which the quartet had performed at the Live Under The Sky festival two days earlier. On “The Eye Of The Hurricane” and “The Sorcerer,” the band shifts into high gear, exploding with instrumental prowess. Williams’ wistful composition, “Pee Wee” and the standard, “I Fall In Love Too Easily” round off the album. Quartet was pivotal for Marsalis’ burgeoning career, as it made him known to the wider jazz community. And Hancock took the opportunity to revive the V.S.O.P. project with the same rhythm section, but differing guests and sidemen: In 1983, the so-called V.S.O.P. II band toured with Wynton Marsalis and his brother Branford on saxophone, and a couple of years later, V.S.O.P. III was born. Recorded July 28, 1981 by Tomoo Suzuki at CBS/Sony Shinanomachi Studios, Tokyo.